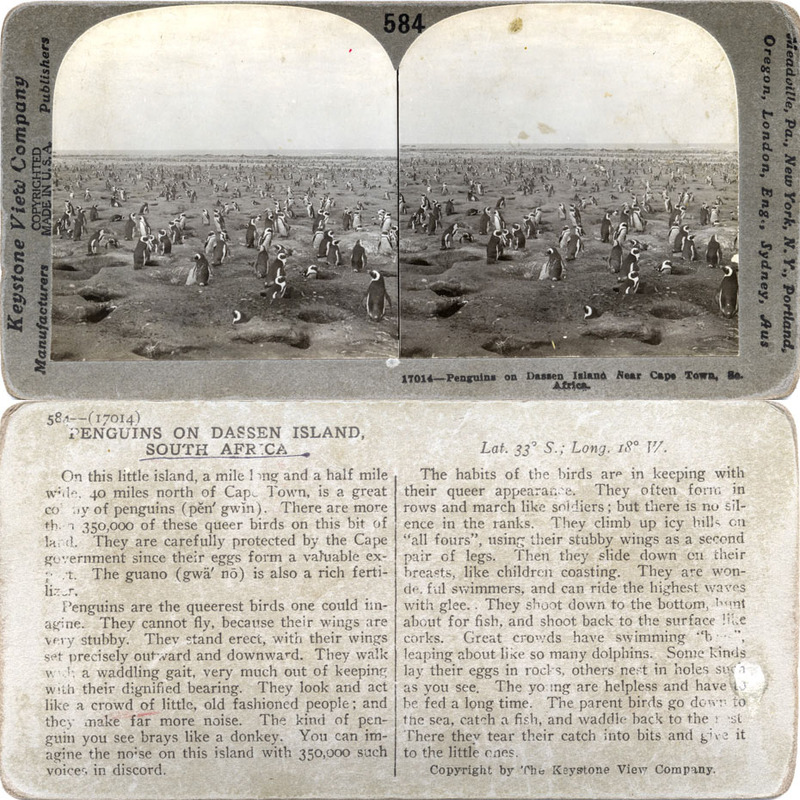 For the last stop in our 1900's virtual vacation we visit the penguins of South Africa. Remember the readers of this card has no access to video of penguin antics. This very colorful descriptive text was all they had to bring the still view to life. You are right Arthur! I hadn't thought about that. We open up this photo and instantly picture the nature shows and movies of penguins waddling around. As the latitude of Dassen Island is about equivalent to San Diego, I doubt these particular penguins are climbing very many icy hills and sliding down. When daughter went to Antarctica her main reaction to the penguins was the overwhelming smell. I agree Arlen. I was curious why Keystone happened to pick Portland, for an office. I didn't find out anything about why Portland. Maybe the Lewis and Clark Expo spurred the interest. I did learn that owner B.L. Singley took all the photos up to 1898, but after that he hired dozens of photographers to travel the world. Can you imagine how exciting that job would have been?